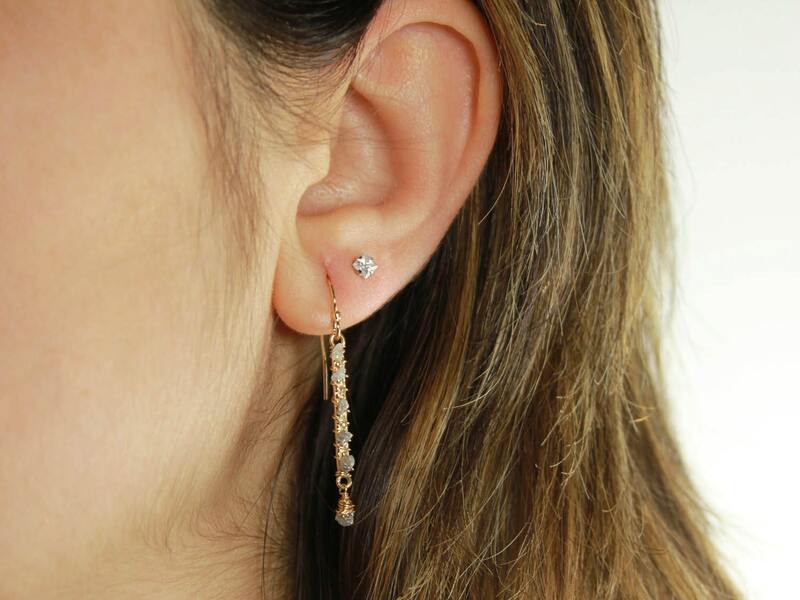 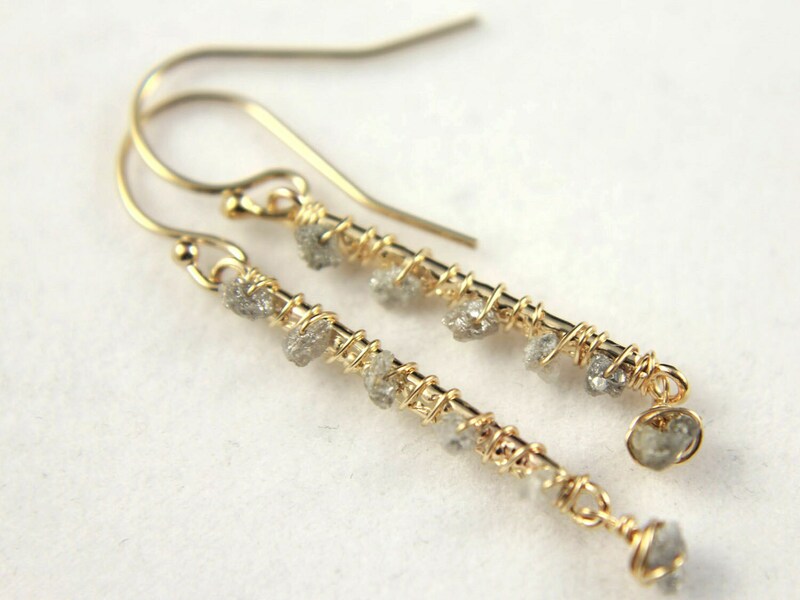 These elegant earrings include five precious Rough Diamonds wire wrapped on each 1 inch 14K Gold Filled textured bar and one larger Diamond hanging from the bottom of it, total of 12 Rough Diamond stones. 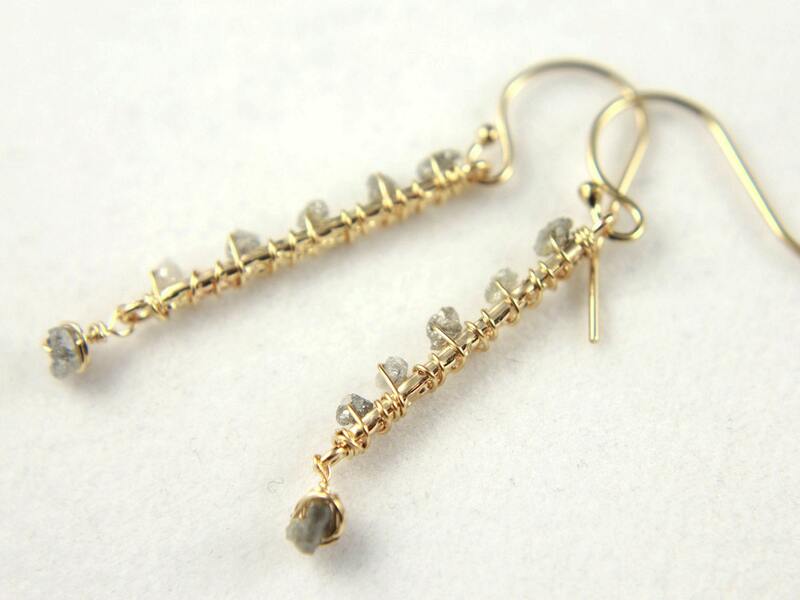 The Rough Diamonds have a natural color variance from grey to white and the size varies from approximately 2-3.00 mm. 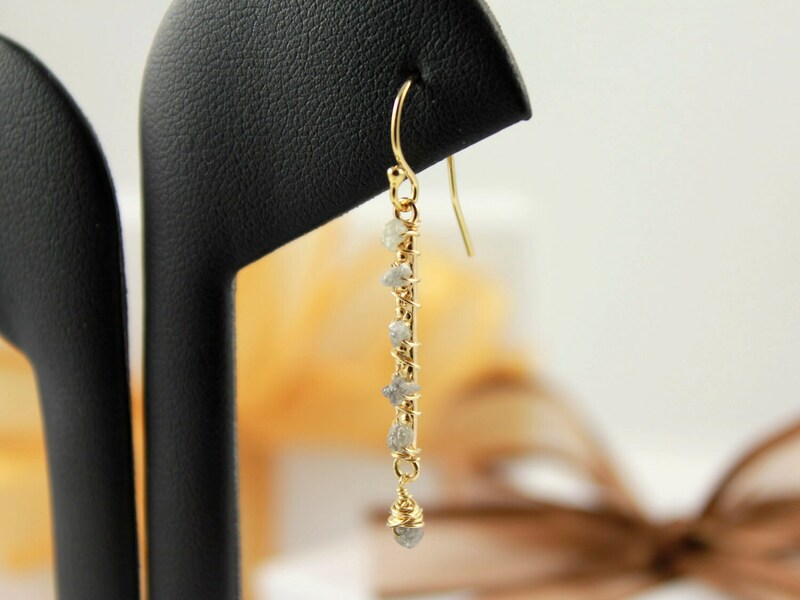 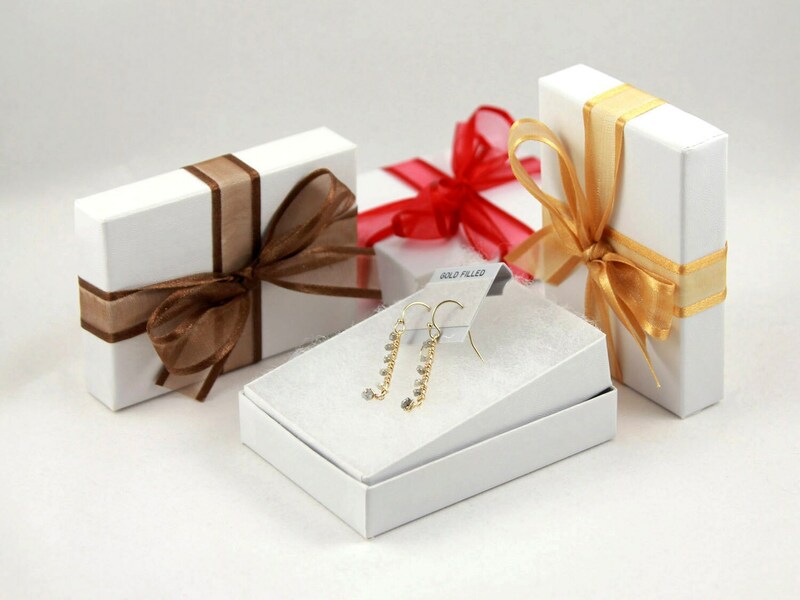 The total length of the earrings is 30mm starting from base of the 14K Gold Filled earwires down.